OYSTER BAY, NEW YORK (April 27, 2016) – In a continued effort to expand horizons, Oakcliff has partnered with Dream Yacht Charter to encourage sailors to get out and sail. Last year over 70 different sailors participated in the Wednesday Night Series and this year the goal is to double that number. Sailors who frequently participate in the racing will receive discounts on charters all across the globe. The Wednesday Night Series presented by Dream Yacht Charter will begin May 4, 2016 and carry on every Wednesday through September 14, 2016. Sailors will race on Oakcliff’s fleet of 40 foot keelboats with onboard coaching from Oakcliff staff including America’s Cup winner and two-time Whitbread around the world racer Dawn Riley. Dream Yacht Charter, a luxury yacht charter group with over 700 yachts and 43 destinations, offers bareboat sailing, all-inclusive crewed yacht charters, and popular all-inclusive by the cabin sailing opportunities. With such a range, Dream is able to provide vacations on board monohulls and catamarans up to 80 feet to every level of sailor. “It makes perfect sense to partner with training centers like Oakcliff and other sailing schools in order to enable the students to take their newfound love of sailing with them to some of the world’s most stunning destinations. Our by the cabin charter product makes for an easy get away on the water, with the trappings of the most exquisite all inclusive vacation,” says Brittany Riley of Dream Yacht Charter. Sailors who participate in at least five of the Wednesday Night Series will receive a 5% discount on charters. Those who attend at least ten times will receive a 10% discount. Those interested in participating should sign-up on the Oakcliff Calendar at oakcliffsailing.org/calendar or by calling the office at (516) 802-0368. Discounts are available only for Oakcliff Supporters. Oakcliff Sailing is a non-profit coaching and training center for sailors who have progressed beyond traditional coaching methods. 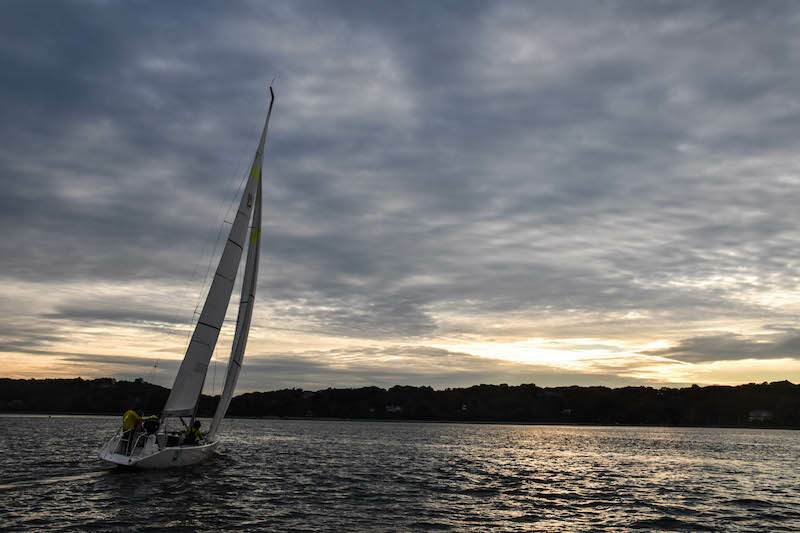 The center offers weekly racing throughout the summer and can be contacted by email at race@oakcliffsailing.org or by calling (516)802-0368. With over 700 yachts in over 40 destinations Dream Yacht Charter is the largest growing charter company on the globe. Our expertise ranges from providing a full range of the most sought after yacht brands to our sailors to operating a five-star all-inclusive crewed yacht and by the cabin sailing program. With Dream Yacht Charter guests can do as much or as little sailing as they would like while enjoying the beauty of their on water vacation.